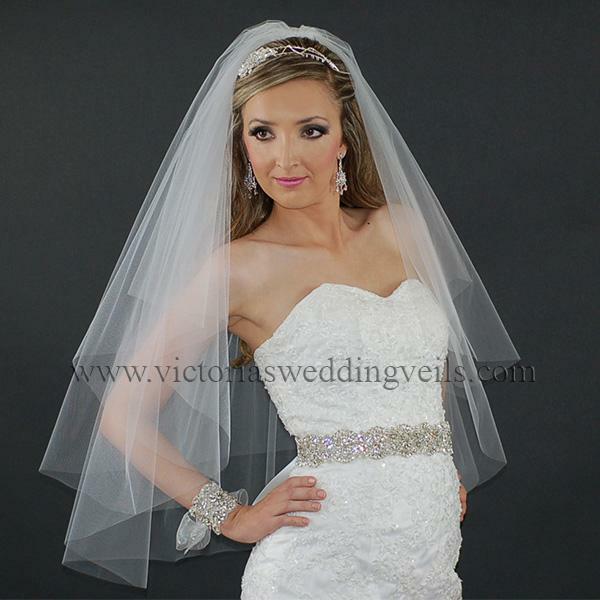 Click the button below to add the 2 Layer Bridal Oval Veil Cut Edge N22 to your wish list. 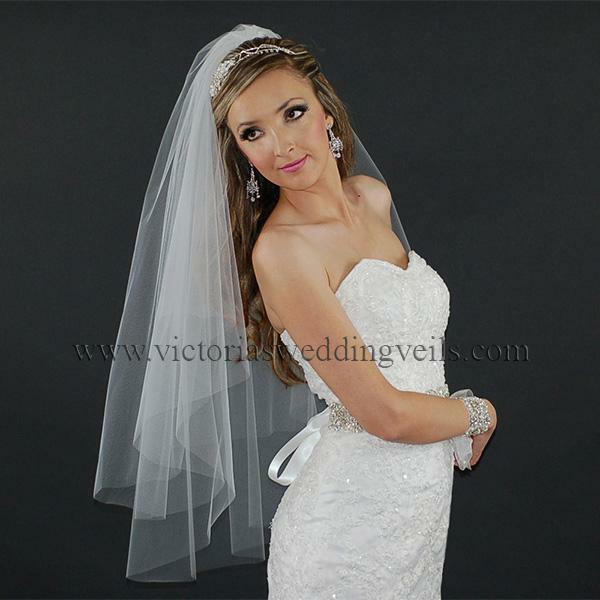 This double layer bridal veil features a simple yet irresistible style with its elegant cut edge (no edge). 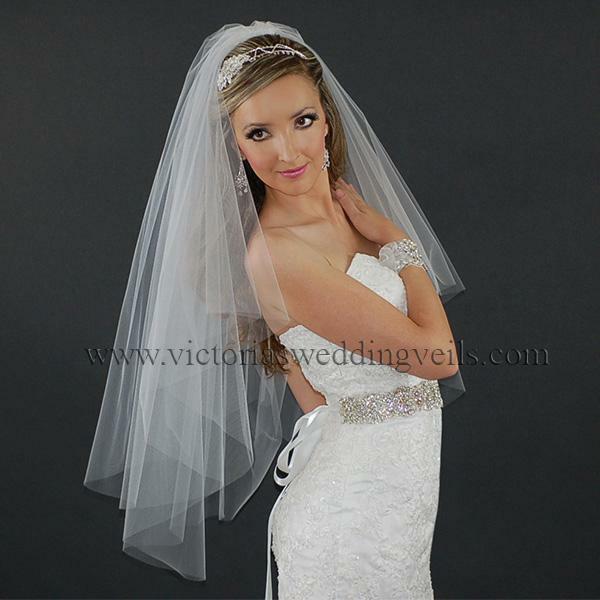 Made with high quality illusion bridal tulle, the veil measures 30"x35" (Veil Length) and 72" (Veil Width).